Poetry, poetry, poetry!! 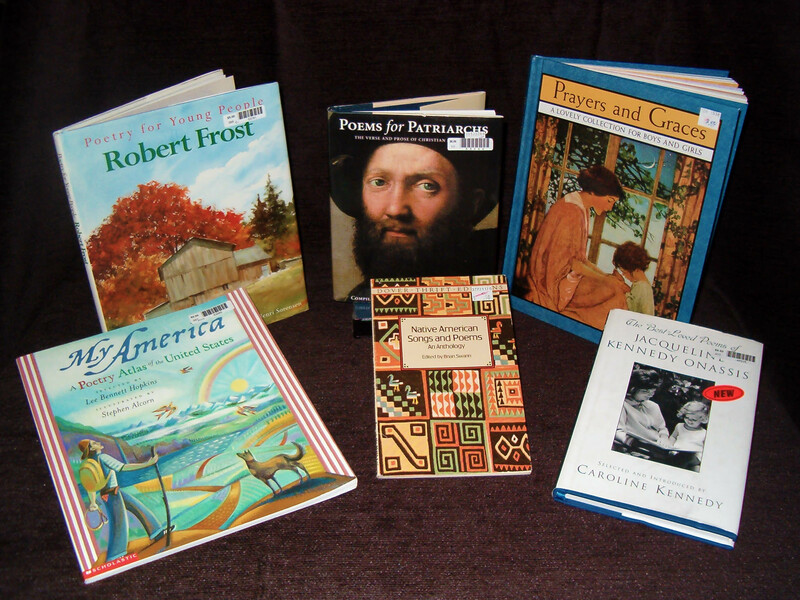 If your student is a lover of poetry or wishes it went away, check out the many items we have at the Curriculum Exchange to help supplement your poetry units! As your 2012/2013 school year is coming to a close, many thoughts may be crossing your mind . . . . . .
Whatever thoughts are racing through your mind this time of the year, press on. One more year almost complete. If life has kept you from finishing all you intended to teach, re-evaluate your list and choose what key areas need to be taught for this last part of the year. Don’t let the frustration of the last few weeks of school ruin all the learning that has happened throughout the year. Note the areas of struggle and the areas not covered; but also note the areas of success! As I have commented to my own children as well as to my students, stay focused and keep running this part of your race with endurance! As always, if you need anything to supplement the remainder of your year, we are here at the Curriculum Exchange to help in any way we can! Our BJU sale for 20% off is still going on and will end on April 26.